WATCH THIS: James Reid and Nadine Lustre's Sweet Moment On Cam Goes Viral! Famous actor, singer and dancer James Reid just turned 23 last May 11. That day was also his third month as a real-life partner with Nadine Lustre. In line with the young actor's birthday, his girlfriend prepared a surprise pool party for him. 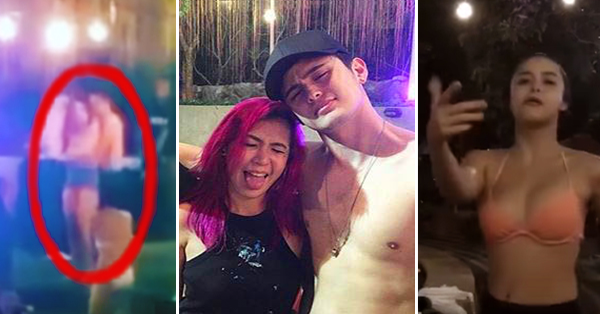 This is so far James Reid's best surprise birthday party given by his lovable partner.